Paravicini was born extremely prematurely, at 25 weeks, along with a twin sister who did not survive birth. His blindness was caused by an overdosage of oxygen therapy given during his time in a neonatal intensive care unit. This also affected his developing brain, resulting in his severe learning disability. He also has autism. 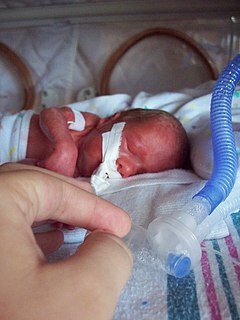 A neonatal intensive care unit (NICU), also known as an intensive care nursery (ICN), is an intensive care unit specializing in the care of ill or premature newborn infants. Neonatal refers to the first 28 days of life. Neonatal care, as known as specialized nurseries or intensive care, has been around since the 1960s. He has absolute pitch and can play any piece of music after hearing it once. He began playing the piano at the age of two when his nanny gave him an old keyboard. His parents arranged for him to attend the Linden Lodge School for the Blind in London. On his introductory visit to the school, in the music room he broke free from his parents, then headed straight for a piano being played, and then pushed the player, Adam Ockelford, aside to take over. Ockelford encouraged him and arranged first weekly and then daily lessons. Aged seven, Paravicini gave his first concert in Tooting Leisure Centre in South London. Linden Lodge School for the Blind is a specialist sensory and physical college located in Wimbledon, South London. It educates visually impaired children aged between two and nineteen, including those who are multi-disabled visually impaired. Wogan was a British television talk show which was broadcast on BBC1 from 1982 until 1992, presented by Terry Wogan. The show was generally broadcast live from BBC Television Theatre in Shepherd's Bush, London until 1991. It was then broadcast from the BBC Television Centre. Some shows were pre-recorded, but broadcast unedited, 'as live'. Wogan ended its run in July 1992. Paravicini's first album Echoes of the Sounds to Be was released on 27 September 2006. His official biography, In the Key of Genius by Adam Ockelford, was published in the UK by Hutchinson ( ISBN 978-0091796129) on 3 May 2007. On 9 March 2013, Paravicini appeared with Adam Ockelford at TEDxWarwick. During the talk,  Ockelford discussed Paravicini's amazing musical abilities, while Paravicini demonstrated them. Savant syndrome is a condition in which someone with significant mental disabilities demonstrates certain abilities far in excess of average. The skills at which savants excel are generally related to memory. This may include rapid calculation, artistic ability, map making, or musical ability. Usually just one special skill is present. Mental calculators are people with a prodigious ability in some area of mental calculation, such as adding, subtracting, multiplying or dividing large numbers. Sir George Albert Shearing, OBE was a British jazz pianist who for many years led a popular jazz group that recorded for Discovery Records, MGM Records and Capitol Records. The composer of over 300 titles, including the jazz standards "Lullaby of Birdland" and "Conception", and had multiple albums on the Billboard charts during the 1950s, 1960s, 1980s and 1990s. He died of heart failure in New York City, at the age of 91. 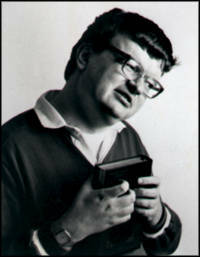 Laurence Kim Peek was an American savant. 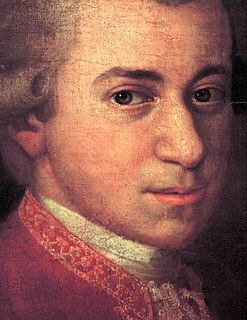 Known as a "megasavant", he had an exceptional memory, but he also experienced social difficulties, possibly resulting from a developmental disability related to congenital brain abnormalities. He was the inspiration for the autistic savant character Raymond Babbitt in the movie Rain Man. Although Peek was previously diagnosed with autism, it is now thought that he instead had FG syndrome. Leslie Lemke is a blind American autistic savant who is most notable for his work as a musician. Anthony Thomas "Tony" DeBlois is a blind American autistic savant and musician. Brigadier Andrew Henry Parker Bowles OBE is a retired British Army officer. He is the former husband of Camilla Parker Bowles, who is now the Duchess of Cornwall as the wife of the Prince of Wales. Daniel Tammet is an English essayist, novelist, poet, translator, and autistic savant. His 2006 memoir, Born on a Blue Day, about his life with Asperger syndrome and savant syndrome, was named a "Best Book for Young Adults" in 2008 by the American Library Association Young Adult Library Services magazine. His second book, Embracing the Wide Sky, was one of France's best-selling books of 2009. His third book, Thinking in Numbers, was published on 16 August 2012 by Hodder & Stoughton in the United Kingdom and on 30 July 2013 by Little, Brown and Company in the United States and Canada. Mishenka, his first novel, was published in France and Quebec in 2016. His books have been published in over 20 languages. He was elected in 2012 to serve as a fellow of the Royal Society of Arts. Mary Elizabeth Hope, Baroness Glendevon was the only child of English playwright, novelist, and short story writer W. Somerset Maugham and his then mistress, Syrie Wellcome. Matthew "Matt" Savage is an American autistic savant musician. Born in Sudbury, Massachusetts, he is the son of Diane and Lawrence "Larry" Savage. 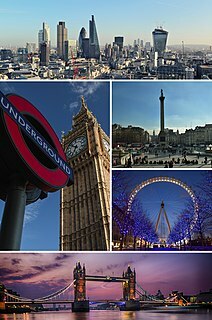 Extraordinary People is a television documentary series broadcast on Channel 5 in the United Kingdom. Each programme follows the lives of people with a rare medical condition and/or unusual ability. People featured have or had rare illnesses such as rabies and eye cancer. Many of these people do activities previously thought impossible for people in their condition. Julian John Somerset Hope, 2nd Baron Glendevon was a British opera producer and nobleman. The Orchestra of St John's is an Orchestra in the United Kingdom, founded in 1967 by John Lubbock. Originally called the Orchestra of St John's Smith Square, it was named after St John's, Smith Square in central London. Matthew King is a British composer, pianist and educator. His works include opera, piano and chamber music, choral and orchestral pieces. He has been described, by Judith Weir, Master of the Queen’s Music, as “one of Britain's most adventurous composers, utterly skilled, imaginative and resourceful”. Musical Minds is a Nova documentary based on neurologist Oliver Sacks's 2007 book Musicophilia: Tales of Music and the Brain about music and the human brain aired on June 30, 2009 on Public Broadcasting Service (PBS). Rex Lewis-Clack is an American pianist, considered a prodigious musical savant. Blue is a piano concerto by British composer Matthew King, composed specially for the autistic savant pianist Derek Paravicini. The concerto grew out of an improvisation session between the pianist and composer for BBC Radio 4 programme called The Inner World of Music. during which King and Paravicini extemporised in numerous styles. Fascinated by Paravicini's ability to improvise using advanced harmonies, similar to Ravel or Scryabin, King improvised with him for several sessions, slowly devising a work that came to use a number of themes from Gershwin as the basis for a large single movement piece in extended Sonata Form. 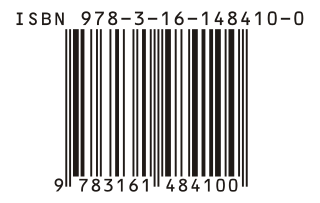 A number of themes appear upside down. The concerto begins with a depiction of musical chaos, out of which thematic ideas gradually appear. Terence 'Terry' Day is a musician specialising in free improvisation, a poet and a visual artist. He is a founding member of the Continuous Music Ensemble and The People Band. Some of his musical partners include Derek Bailey, Steve Beresford, Phil Minton, Evan Parker, Charlotte Hug, John Russell, Rhodri Davis, Misha Mengelberg, Tony Oxley, Marten Altena, Phil Wachsman and John Tchicai. He is a member of the improvising, genre-hopping quartet Alterations, active from 1977 to 1986 and reforming in 2015. Terry Day plays many instruments including piano, keyboards, alto & soprano saxophones, bamboo pipes, drums, percussion, cello, mandolin, home made instruments, balloons, toys, African thumb piano, voice, Chinese flutes, plastic trumpet, crackle box. Derek Amato is a composer and pianist who received a head injury on October 27, 2006, and subsequently became a musical savant. He is the only known musical savant to have developed savant syndrome through a brain injury. ↑ Jim Ankan. "Derek Paravicini – Musician or a Superhuman?". EF News International. Archived from the original on 9 May 2012. Retrieved 21 December 2011. 1 2 "Meet Musical Savant Rex: Lesley Stahl Checks In On A Boy With An Extraordinary Musical Talent". CBS, 60 Minutes. 23 October 2005. Retrieved 8 November 2007. 1 2 Darold Treffert, MD. "Derek Paravicini". Wisconsin Medical Society. Archived from the original on 25 June 2010. Retrieved 8 November 2007. ↑ "In the Key of Genius: Derek Paravicini and Adam Ockelford at TEDxWarwick 2013". YouTube. Retrieved 3 November 2016. ↑ "Derek Paravicini, the Parker Bowles prodigy", timesonline.co.uk, 28 February 2008. ↑ "Derek Paravicini, the Parker Bowles prodigy" The Times. 28 Feb 2008.